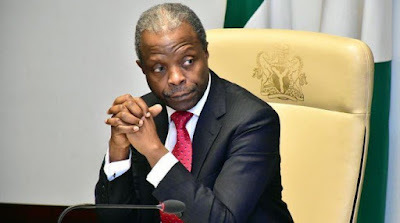 Vice President Yemi Osinbajo, has revealed the focus of President Muhammadu Buhari administration in the next four years. He said Buhari’s administration would be focused on addressing among other things, the deficiencies in the quality of human resources caused by poor education and healthcare. “Others include; adopting a new approach to resourcing healthcare; putting in place a social investment programme that deals with issues of extreme poverty and unemployment. Our Economic Recovery and Growth Plan effectively addressed these issues”, the Vice President added.